If you’re hankering after the ultimate night of country and rhythm and blues perfection, then look no further. Ladies and gentlemen, we are proud to bring you the incredible smash hit songwriter Chris Stapleton, the melodious Anderson East and phenomenal Brent Cobb to the Oak Mountain Amphitheatre on Saturday 10th June 2017!! Tickets are already flying so don’t delay in grabbing yours – hit the “Buy Tickets,” button NOW!!! Previously writing hit songs for and with incredible artists, including but not limited to Peter Frampton, Cheryl Crow, Thomas Rhett, Luke Bryan, Josh Turner, Adele and many more, in addition to all the material for his band The Steeldrivers, Chris Stapleton went quiet in 2010, leaving the band to focus on family – and songwriting. 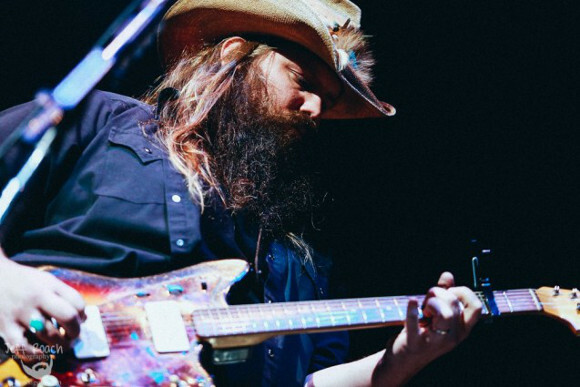 And boy, did it pay off – in 2015, he released his debut, the phenomenal “Traveller.” Hailed by critics as one of the best albums of its genre in decades, it was an instant top seller, hitting record sales of over 1.7 million and earning Chris Stapleton multiple awards including CMUs and Grammys. In support is Anderson East, also known as Michael Cameron Anderson, who released his first album on a major label “Delilah,” in 2015 to overwhelming positive reviews from critics, and Brent Cobb, who saw unprecedented sales with his October 2016 release, “Shine On Rainy Day,” which swiftly climbed up the Billboard Top Country Albums chart weeks within its release. Don’t miss out on this evening of positively sublime musical entertainment – hurry up and grab those tickets!! !